It seemed like a good idea to Heather at the time: organise a challenging trek to raise funds for the education of young Bhutanese girls. Heather had walked in the Himalayas before, so how hard could it be on the trail to Lunana, Bhutan’s most remote plateau? On the 240-kilometre trek, she discovers that ‘hard’ doesn’t even come close. 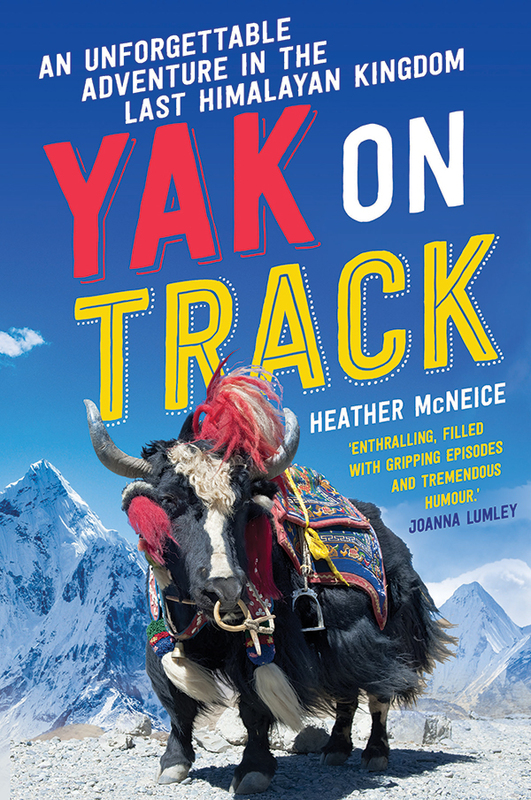 Along with her friend Krista, like-minded lover of mountains and margaritas, a team of eccentric guides and far too many horses, Heather sets off into a landscape of savage beauty, where yetis are feared and only yaks feel at ease. As the team face blizzards, avalanches, altitude sickness and snow blindness, their reward is a rare glimpse of life in the last Shangri-La. At its heart, this book is a love song to Bhutan and its people, an intimate portrait of the only remaining Buddhist kingdom of the Himalayas. Yak on Track is a delightful story about losing yourself but not losing your way. Heather is donating a portion of her royalties from the sale of this book to the Australian Himalayan Foundation in support of a scholarship program for disadvantaged children in Bhutan. ‘Heather McNeice’s magical book is a glorious throwback to the great age of intrepid travel. Beautifully written, sensitive and insightful, it’s a work that’s sure to become a classic.’ Tahir Shah, journalist, documentary maker, and author.